You can use any solvent to clean up any undesired oily spots or over spray on windows, tile, etc. We recommend using our Pure Citrus Solvent which is the food grade pure orange oil that we use in our products. It is much safer to use and any remaining on the surface will simply evaporate, but any available solvent will do (turpentine, mineral spirits, etc). The vapors from solvents are harsh, so do wear eye and skin protection and minimize breathing and exposure. Lots of soap, water and elbow grease will work in certain situations as well. If you get the oils on your clothes, you pretty much have to dedicate those clothes to forever be work clothes, sorry! Not a good idea to run them through the washer and dryer be sure to hang up oily rags in a well ventilated area to dry first before putting them in the trash. See our safety link for more safety info. Packaged in a 4 oz. clear glass round bottle with screw-top cap. Packaged in a one quart, metal cone-top bottle with a child resistant cap. 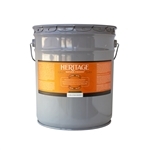 The finish comes packaged in a metal one gallon, standard solvent can with a child resistant cap and metal top handle. Packaged in a 3 gallon epoxy-lined steel pail with a plastic easy pour spout in the removable lid. $86/gallon. Bulk pricing is at $83/gal for the five gallon pail. 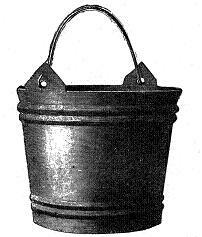 Packaged in a 5 gallon epoxy-lined steel pail with a plastic easy pour spout in the removable lid.